We are leading manufacturer, supplier and exporter of Metal Walking Stick. And our mainly targeting areas are UK, German, Australia and USA. We are offering Aluminum Stick to our clients. 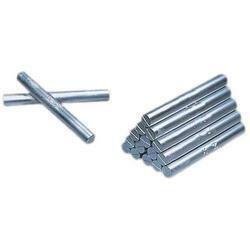 We I-Max International are the leading manufacturing, trading, wholesaler, supplying, exporting and importer a wide range of Heavy Metal Stick and many more.We are mainly focussing on regions like Andhra pradesh, Tamilnadu, Karnataka, Kerala, Maharastra and locally Chennai. atmosphere containing 3 ppm oxygen. Nautical Walking Stick With Beautiful Wooden StickAll Work is hand madeIts Best Quality Item Its Amazing Style For Nautical Theme.Collectible Nautical Wooden Walking Stick. We are one of the leading manufacturer and importer of superior quality Aluminum Sticks. These Aluminum Sticks are available at leading market prices. Material : Aluminium Pipe , Machine Art, Color etc. 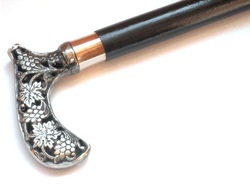 Buyers can choose from our specially crafted Metal Walking Sticks. They are designed in compliance with international quality standards. Compact in size and finished with special coating, the Metal Walking Sticks look classy. Metal Walking Sticks can be purchased in different sizes from us. Matching up with the ever increasing requirements of the customers, our company is engaged in providing Tripod Metal Base Walking Stick. We have in-store for our clients a wide range of Cadmium Stick & Cathode, sourced from leading vendors from Asia and other parts of world. These are malleable, soft, bluish-white bivalent, ductile metals, similar zinc. Also, these are known to form complex compounds. The offered range of cadmium is in rechargeable nickel-cadmium batteries, electroplating (6% cadmium), paint pigments. We are engaged in supplying Cadmium Metal that is chemically similar to the two other metals. Our range of cadmium metal includes sticks, rods granules, ingots, and oxide. - Purity: 99.99% Cd min. - 99%, 98.5 %, 97%, etc.